We love and appreciate EVERYONE’S input!! It is the teamwork that makes us successful. We believe EVERYONE has something to offer, it can be ideas, suggestions for improvement, contacts, skills, time… You are welcome to get involved as much or as little as your work and family commitments allow!! If you would like to help us organise events or be a part of a clean-up team, if you have new ideas for fundraising or social events, please let us know. 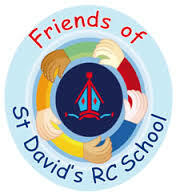 If you run a business or have valuable contacts in the local community which could benefit the School (donating goods or auction items or provide match funding) please, let us know. Our teaching staff always welcomes any parents who can share their professional experience with the children (for example “A Day in the Life of a Vet”). Reading volunteers for our paired reading scheme are also much welcomed and appreciated.